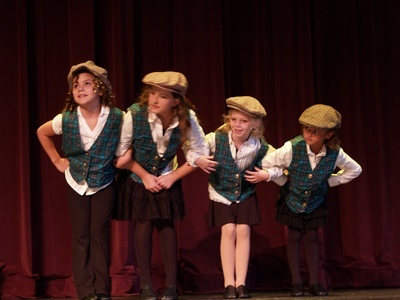 Future Tony winners hit the stage in Carlsbad Community Theatre�s musical revue Tonys Tonight. 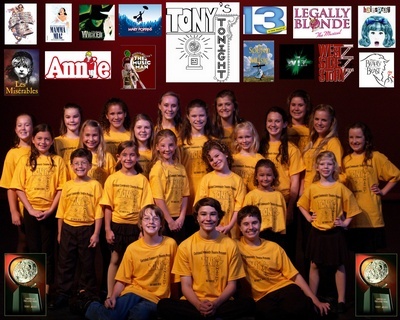 What follows is a commercial-free awards show featuring some speeches, a few divas, and a lot of music from Broadway�s biggest hits past and present including Les Miserables, West Side Story, Hairspray, Mamma Mia!, Annie, Legally Blonde, and more. 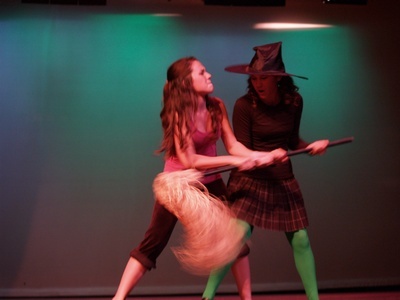 * Livi Langen and Emily Schneider fighting it out as Wicked�s Elphaba and Glinda in The Wizard and I. * Allie DeGour as an amusing Elle knocking out Legally Blonde�s So Much Better. * Miranda Colvin�s sweet On My Own from Les Miserables, Casey Sawyer�s wistful Home from Beauty and the Beast, and Troy Lingelbach�s comedic, non-gangish Cool from West Side Story. * A hilarious Erin Elliott accepting her award with a classic speech full of false modesty, a determination to take as much time as she wants, and almost wanting to welcome her fellow cast members up on stage with her. * And several big group numbers by the lively young cast from the opening Tonys Tonight to Annie�s You�re Never Fully Dressed Without a Smile, disco�s Dancing Queen, Disney�s Supercalifragilisticexpialidocious, a hopping Nicest Kids in Town a la Hairspray, and kicking us out with a cute So Long, Farewell (The Sound of Music) and The Wiz�s vibrant Brand New Day.